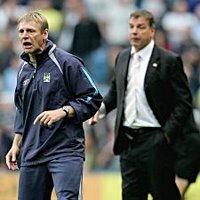 I haven’t really paid to much attention to the recent news regarding Curbishley meeting with the England bigwig’s for an informal interview, but seeing as how I am stuck for a story to write today, I might as well give my opinions on the available candidates, and how I think they would do as England boss. I’ve just never liked the man. In Premiership terms, no one can dispute the superb job he has done at Bolton, but he lacks experience of managing in Europe, and he also lacks experience in managing the egos of top class players. Bolton have a quite similar wage structure to ourselves, and although the players at The Reebok earn average salaries in footballing terms, I’m not sure that Sam would be able to motivate players at the next wage bracket up. People say that playing for England should be motivation in itself for those fortunate enough to wear the shirt, and while a World Cup is around the corner that may well be the case, but when the job becomes available, the World Cup will have already come and gone. Would the likes of Beckham, Gerrard, and Rooney respond well to Allardyce’s strangulating safety-first style of football when the upcoming fixture is an International friendly against Bulgaria? Even though he is even less experienced than Allardyce in the managerial achievement stakes, I would consider Stuart to be a better candidate, and one who would have more public appeal. Everyone remembers the courage and passion he displayed for the Thee Lions during Euro ’96, and you truly got the feeling that it meant as much to him as it did to you or I when he put that penalty away. There is a certain level of public support for Stuart purely because of that passion. The average football fan likes him, and that gives him a certain advantage over Big Sam. I see Stuart as an outstanding young manager who has a huge future managing in both the Premiership and International football worlds, but in my opinion it’s too soon for him to be taking up the poisoned chalice. If he were to get the job and fail, his stock would be permanently lowered. I’m certain that he will take the job one day, but not yet. Personally I think it’s a travesty that Steve is still the manager of Middlesbrough, and it’s only because of the seemingly unending patience of Steve Gibson that he is. I think that with the amount of money the man has had to spend, any other Premiership chairman would have shown him the door long ago. It’s a mystery to me why he has been involved with England for so long without ever really achieving anything domestically. If he gets the job, I shall emigrate. No doubts here about the man’s ability to man-manage and motivate. A manager who is respected by all in the football world, and an intelligent thinker about the game. Martin took Leicester City from relative obscurity to mid table Premiership security, and also masterminded their way to a major trophy. When given his chance at a bigger club, he delivered trophies there as well. His availability to take the job depends very much on the condition of his wife Geraldine. Martin left the Celtic hot seat because she was still receiving treatment for cancer. It is believed that her response to the treatment has been positive, and Martin is said to now be considering a move back into football management. Perhaps the England job will be perfect for him. Because of the length of time between International fixtures, he won’t have the day-to-day hands on responsibilities of a club manager, and that will allow him to still spend a reasonable quantity of his time at home with his wife. This is an appointment I would be happy with. There seems to be a genuine 50/50 split between people who think Curbs could do the job, and those who think that he is just too tactically naïve. 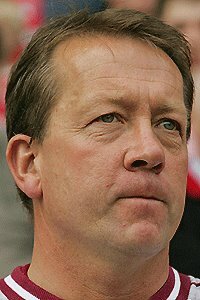 My personal opinion is that although Curbishley is a hero to all of us at The Valley, he wouldn’t have what it takes to manage England. Similar to Sam Allardyce, Curbs has little experience in dealing with players of England calibre, and there have been occasions during his tenure at Charlton where his man-management and motivational abilities have also been called into question. The likes of Euell, Jeffers, and even Rommedahl to an extent will testify that if you get on the wrong side of Alan, you will find yourselves out in the cold. England could not afford a similar situation between its manager and the likes of Rooney or Gerrard. Alan has carte blanche at The Valley. Even if the fans or the board disagree with his decisions, we respect them, because of who he is and what he has done for us. I don’t think Alan would react well to the national press challenging and cross examining every management decision he makes, purely because he is just not used to that level of scrutiny and exposure. The situation with the Barwick meeting last week is almost proof of that. Curbs publicly stated that he was disappointed that the news about the meeting came out. Well, that is something he would have to get used to if he truly wants to take the job. The national perception of Curbishley is decent enough. Everyone knows what an incredible job he has done with Charlton, but, and I’m sorry to say it; we are viewed by the rest of the Premiership as a team which plays boring football. 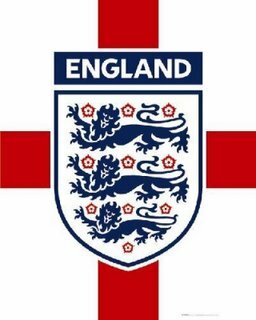 The FA cannot allow the England team to be viewed by the public in similar light. Curbishley is a star, but with the greatest respect to the man, I just don’t think that he’s a bright enough star for England. These aren’t the only candidates of course. The likes of Hiddink, Hitzfeld, and Scolari have also been mooted, but to be frank, I don’t know enough about them to offer even a semi-relevant opinion. I would prefer the England job to be held by an Englishman in truth, but I’m not overly adverse to another foreign manager taking the post. Eriksson has made that scenario much easier to digest and accept. When Sven took the position in 2001, all of the talk was about the fact that he wasn’t English. A few years down the line, and nationality doesn’t come into it anymore. No one talks about his origins; he is just the England manager. This time around though, it’s a little different from previous changes in managerial staff. When Taylor left, we wanted Venables, when Venables left, we wanted Hoddle, then Keegan, then Eriksson, etc. This time, there is no truly outstanding candidate, and that worries me a little. Perhaps we will wish that we hadn’t forced Eriksson out in the first place. After all, he has been the most successful England manager in our recent history. in your zipcode to see if you can get it. I got mine and sold it! My first comment in ages..